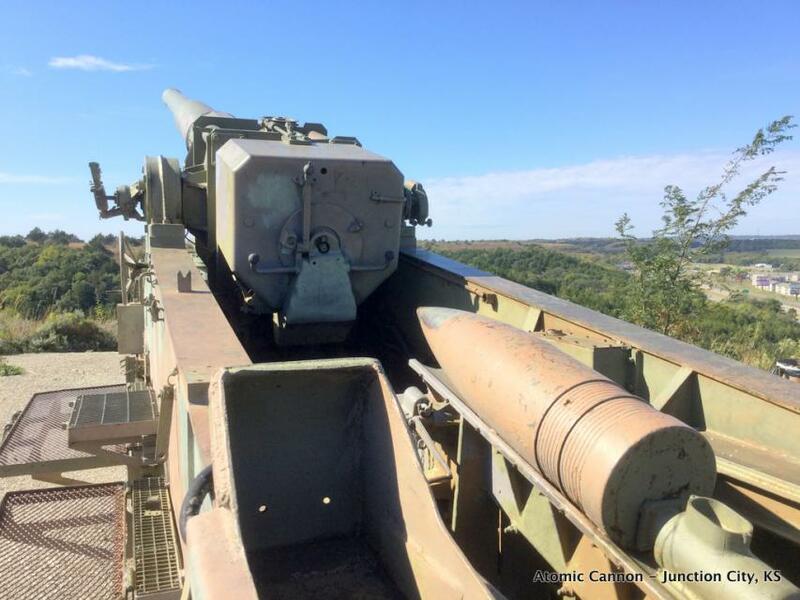 (1) One of only (3) three in existence, the other two are located at Ft. Sill, Oklahoma and the U.S. Army Ordinance Center in Aberdeen, Maryland. It was placed in service November 17, 1952 and deactivated August 1963. (2) 375 hp engines at 35 m.p.h. transported the cannon. 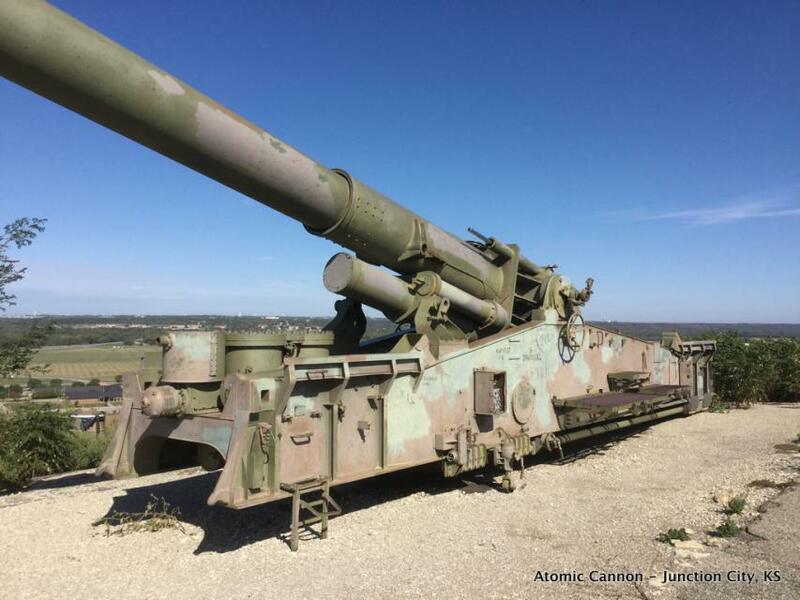 It can fire a projectile, 11 inches in diameter for more than 20 miles. 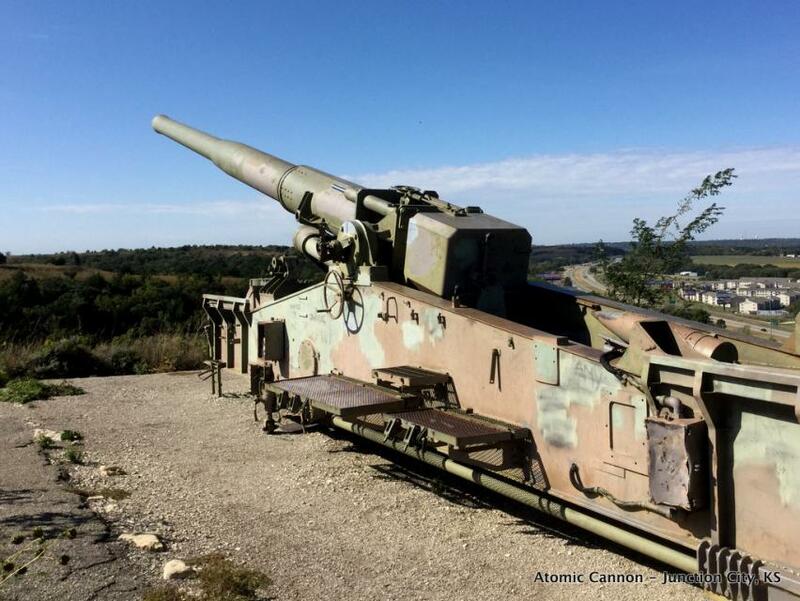 The cannon was never fired. 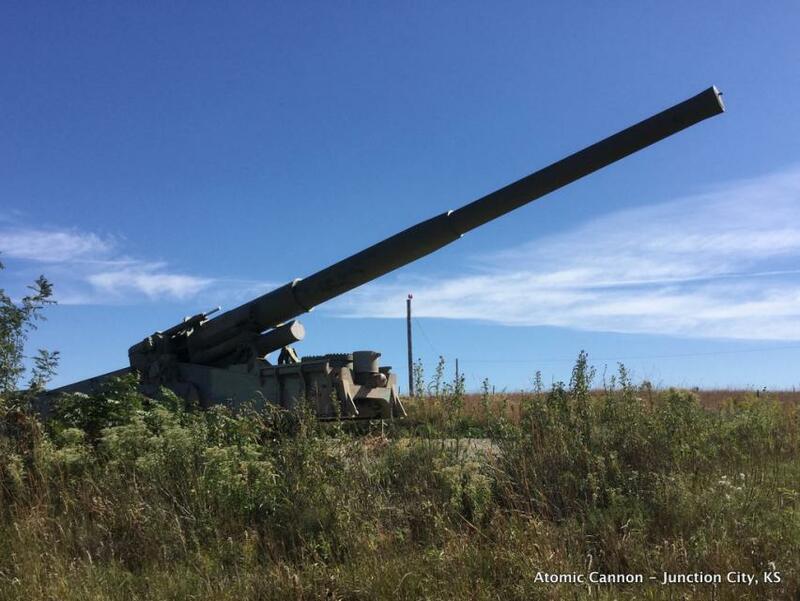 Atomic Cannon at Junction City, Kansas. This marker can also be identified by its HM code. You can use the hashtag #HM15DM in tweets, and any other place where you might refer to this marker, including when searching on this site.